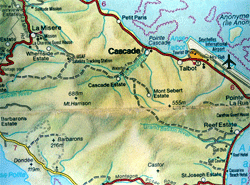 Cascade is situated 8km South of Victoria. 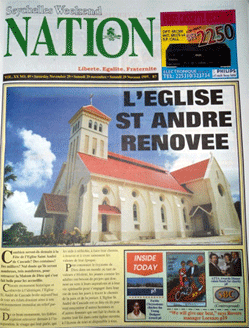 It extends from Petit Paris to Anse Talbot. The highlands of Cascade adjoin to the mountain forest of Montagne Planeau in the West, to Whernside in the north and to Varigault and Mont Sebert in the South. From the coast, the forests of Cascade present a panorama of majestic albizzias strewn with granite boulders and clusters of cinnamon trees. 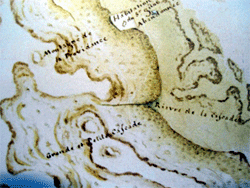 Cascade forest appeared on a map of Mahé of 1782, drawn up by Berthelot de la Coste, a French Lieutenant who was commandant of Seychelles from 1781 to 1783. Obviously, the place was named for the tributaries that ‘cascade’ into the larger river running into the sea. 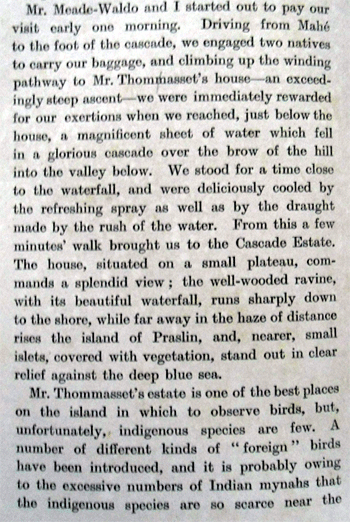 Indeed, in the past, the actual cascade, the waterfall of Cascade, has fascinated more than a few foreign residents who were fortunate to discover the place during their time here. 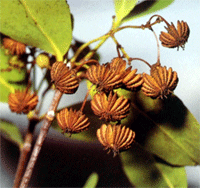 A variety of botanical treasures were discovered in the forested hills of Cascade. 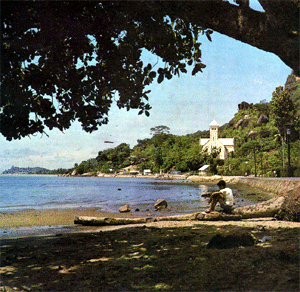 From orchids, skinks to snails and flowering plants, Cascade was once a kingdom of many endemic species of Seychelles. In 1874, the jellyfish plant was discovered at the top of Mont Sebert by John Horne (1835-1905). In the early 1900’s, an Englishman named Hans Paul Thomasset (1862-1949) lived in a small plateau above the waterfall known as Cascade Estate. 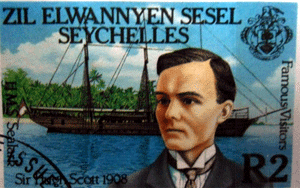 He was the Manager of the Seychelles Rubber and Coconut Company and was on the 7th December of 1908 appointed as an unofficial member of the Legislative Council by Governor William Edward Davidson (1859-1923). During his explorations in the highlands of Cascade, he made many discoveries including Belzamin andemik,the Bwa Marmay and the Bwa Gro Lapo which was named after him (Grisollea Thomasetti). He discovered the rarest frog in Seychelles living at an altitude of 1500 feet, (sooglossus thomasseti). 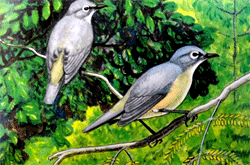 Nowadays, Cascade is one of the three known breeding sites on Mahé for the Seychelles White Eye (Zwazo Linet). The other two areas being Barbarons and La Misère. Long before the first cinnamon distillery was established at Sans Soucis in 1907, the distillation of cinnamon oil was being done already since 1890 by an Englishman named Sharp, at Cascade. He was even exporting a small amount of the oil to Great Britain. Later, in the 1930’s when there was an insatiable demand for cinnamon on the European market, like on many estates on Mahé, a cinnamon leaf-oil distillery was established at Cascade on the Rameau Property. Consequently, the native forests of Cascade Estate were cleared for Cinnamon cultivation, and for the next three decades many women of Cascade were employed in the harvesting of leaves. By 1954, another distillery had been established and the 99 ton cinnamon oil production for that year which sold for a value of Rs.1.4 million must have included a substantial amount from the Cascade distilleries. The rubber industry was established in the first decade of the 20th century. In 1911, when rubber was first exported, there were a total number of 134,467 trees in the colony, among which 5,550 trees were growing on the Cascade Estate which was managed by Hans Paul Thomasset. In 1916, 2,739 kgs of rubber were exported for a value of Rs.6746. 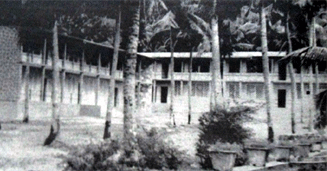 In 1912, Jean Baptiste Cayol established a coir factory to make bristle fibre, mattress fibre and ropes by processing coconut husks that were accumulating on the coconut plantations everywhere on Mahé. The factory was located on the actual site of the Cable & Wireless building. To obtain hydro-power for his machinery, Mr. Cayol installed a water-wheel which was operated by water brought down by an aqueduct from the Cascade River. This generated about 15 H.P which enabled the cog wheels of the machinery to function. There was an extractor, a decorticator and a yarn spinning machine. The addition of a new crusting machine in 1916 enabled the factory to process 4,500 husks per diem. Husks were easily obtained from the various coconut plantations on Mahé. At that time, 20 to 30 million coconuts were being harvested annually. For a century now, the inhabitants of Cascade have protected and cherished their beloved religious monument. … When father Edmond Dardel (1825-1890), having just arrived the year before, decides to build a chapel for the 350 inhabitants of Cascade. This humble little house of worship which was made of timber with a roof of pandanus leave was built on a piece of land that was donated to the Catholic Church by Mme Charles Button. The Chapel was blessed on 5th February of 1883 by Mgr Symphorien Mouard (1828-1890). 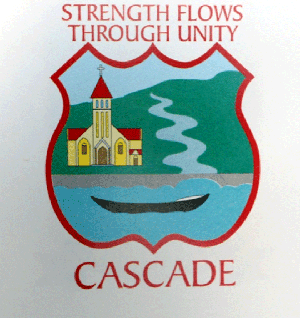 The Parish of Cascade was established in 1884. 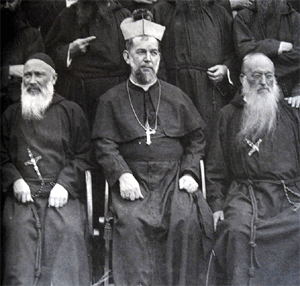 Meanwhile, Father Théophile Pollar (1826-1895) gave pastoral care and spiritual guidance to his small flock until his death. For the next decade, the inhabitants were without a parish priest. They were grateful for the occasional visit of an itinerant priest from town or from Anse Aux Pins. In 1898, a presbytery of timber was built and Cascade got its first residential priest. 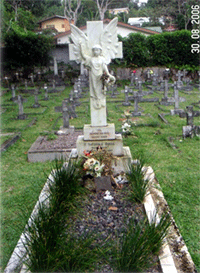 He was Father Bernadin Thomas Edward Clark (1856-1915) from an English and Protestant family. He had converted to Catholicism in 1870 and was ordained in 1874. He arrived at Mahé in 1884. He would in 1910 become the bishop of the Diocese of Victoria until his death in 1915. 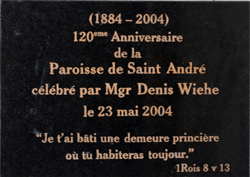 On 5th May 1908, Mgr Hudrisier blessed the first stone. Unfortunately, infirmities of health prevented Father Adrien from participating in the construction of his church. He returned to Switzerland where he died on 24th July 1909. 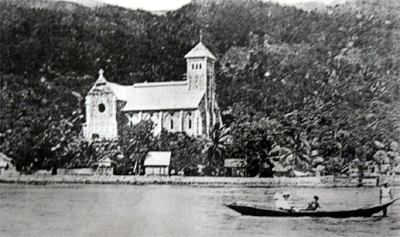 Father Jérémie Luisier (1876-1956) who arrived in Seychelles in 1905, settled at Cascade in July 1910 and being the residential priest, he took charge and gradually work progressed. For many months, the inhabitants laboured and toiled at removing corals from the reef in the vicinity of Cascade, burning them to obtain limestone cement (laso) in order to construct their building. Three years later, on 15th March 1913 the beautiful church of St Andrew stood in all its splendour and glory, and all the parishioners rejoiced. Unfortunately, in 1914 Father Jérémie had to say good-bye to his parishioners when he was entrusted with the task of managing the Anse Royale School for boys. 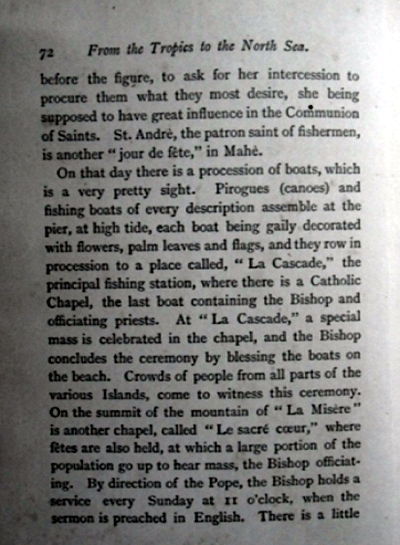 Consequently, the inhabitants of Cascade had to attend Sunday mass at the parish of Anse Aux Pins where Father Hillaire was the residential priest. 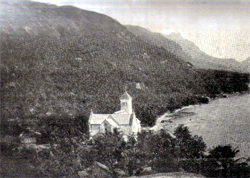 On Friday 22nd July of 1921, the inhabitants were delighted to welcome back their parish priest, who after spending one year in Switzerland had to spend one year as the parish priest of Takamaka. Father Jérémie remained at Cascade for the next seventeen years, during which time he built a stone house for the priest, a magnificent alter for the church, as well as a baptistery sculpted entirely of wood. In 1928, when he left for Switzerland he was replaced by Father Jean de La Croix (1910-1987) who was succeeded eighteen months later by Father Serge (1905-1980). In 1946, Father Jérémie was yet again appointed the Parish priest of Cascade for the third time. He was then seventy years old. He spent only nine months at the presbytery that he had built twenty-three years before. In 1997, the church underwent extensive renovations with the entire roof being replaced and the whole building replastered. It was consecrated on 26th November of 1997 by Mgr. Xavier Baronnet. Every year, on November 30th the inhabitants of Cascade celebrated the feast of their Patron Saint, one of the 12 apostles who is believed to have been the first Christian missionary. 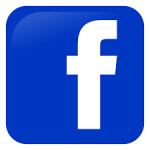 Revd Father Theophile was born on the 28th February of 1896 at Arruffens, Switzerland. He made his vows on the 22nd September of 1919 and was ordained priest on the 30th April of 1922. He arrived in Seychelles on the 10th September of 1923 and immediately settled down to carry out pastoral work in the Diocese of Victoria. 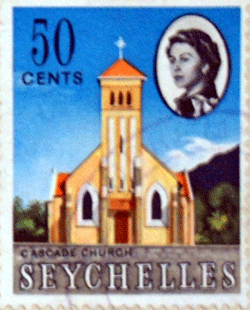 The population of Seychelles was around 26,000 inhabitants and the catholic bishop was Mgr. Justin Gumy (1869-1941). On Friday 17th April of 1925, during the Easter holidays, Father Theophile went to cascade to spend a couple of days with the parish priest, Father Jeremie Luisier (1876-1956) intending to return to La Misere on Sunday 19th just in time to celebrate Sunday mass at the chapel of the Sacred Heart. Late, on Friday afternoon, he accompanied Father Jeremie to Long Island. They spend the night there, and early, the next morning at 6 am they took the pirogue to visit the leper colony on Round Island. There, they packed their few belongings that they had carried with them and by 8.15 am they were on their way back to Cascade, together with five other men who rowed the pirogue: Arnold Loizeau, Darnley Denis, Joseph Silence, Ange Meriton and Aurelien Wilson. 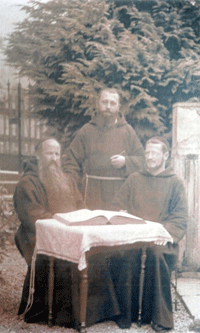 They arrived at Cascade at around 8.50 am, where Father Jeremie made arrangements for someone to accompany Father Theophile from Gran Bois to La Misere, later at 3 pm. At 10.30 am, he asked to borrow Father Jermies’s breviary for him to observe his cononical hours until 11.15 am. The two priests had lunch at 11.30 am. Their lunch consisted of roasted pork with potatoes and macaroni with cheese. They had some wine and drank some lemonade. At noon they had coffee and repaired to the verandah to smoke their pipes and talked. Father Jeremie was looking forward to an enjoyable afternoon in the company of the young priest, but at 1pm, much earlier than they had planned to do so, Father Theophile prepared to leave. Somewhat surprised and disappointed, Father Jeremie tried to persuade the young priest to stay until 3pm when the scorching heat of the sun would have abated a bit, but Father Theophile insisted with regretful excuses that he would prefer to leave then. So, accompanied by father Jeremie’s domestic servant, Darnley Denis, Father Theophile set out in the blazing sun. He wore his soutane over long khaki trousers and a white shirt. He wore a helmet and he carried an umbrella. The items he had his pockets were: a handkerchief, a swisss knife, a pipe, a mass book, and a few coins. His Rosary was attached to a cord of his soutane. When they crossed the river, Father Theophile told Darley Denis that he could go back because from the cinnamon distillery the forest trail would be easy for him to follow until he would arrive at La Misere. The domestic servant went back and left the priest, who seemed to be robustly healthy to continue on his own. Father Theophile never reached La Misere. Early, next morning, on 19th April, Father Jeremie was informed with the frightful news by Mr Louis Bessin, a resident of Mont Fleuri who had gone over to Cascade to inquire if Father Theophile was still there. In a state of apprehension and anxiety, Father Jeremie went to inform the police, where upon a search party was organized to look for the priest. 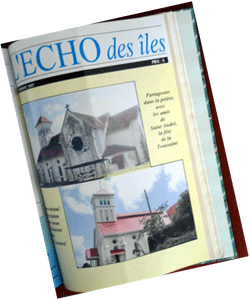 The party which consisted of some labourers who lived at Cascade and worked at Grand Bois made a thorough exploration of the area in the woods where a few persons affirmed that they had come across Father Theophile on Saturday afternoon, following the footpath to La Misere. The party reached up to the cinnamon forests of whernside, but found nothing that indicated that the priest had passed that way in the likelihood that he could have got lost by himself. By night fall, when they still hadn’t found the priest, the men went back. 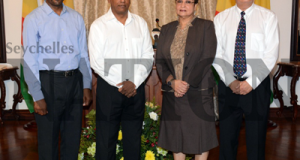 The next day, Monday the 20th April, the entire catholic community of Seychelles was in a state of consternation and tormented anxiety. Never before, not even according to the memory of the oldest inhabitant then, had a priest ever disappeared like that! Some inhabitants immediately began to suspect foul-play. More men joined the party to continue the search. But once again it proved frustratingly unsuccessful. By then, about a dozen people including those who had seen father Theophile on Saturday the 18th of April, were being interrogated by the police with hopes that their statements would in some way give a clue, albeit a remote one, as to what could have happened to the priest. On Tuesday 21st April, more people swarmed out into the rugged highlands of Cascade. The population was in a turmoil of anxiety as well as anger. Many were convinced that sorcerers were behind the disappearance of Father Theophile, given the fact that during the short time that he had arrived in the colony, his bold exhortations against witchcraft, superstitions and sorcery had incurred the animosity of those who supposedly practiced the black art. Evidently they would see him as their enemy…. At around 1 pm, the body of Father Theophile was discovered in a precipice at whernside by Mr. Marcel Lemarchand and a labourer. The priest was lying on his back in the bracken with his legs bent inside. His head with his helmet still on was inclined slightly backwards with his mouth open. His left hand was open and the right one was half clenched. Both arms were curved to the side of the body. His soutane was hitched up to his knees and his umbrella was lying on the bracken about two feet from his left hand. All the items that he had been carrying on him were found in his pockets. The precipice was about 10 feet deep, surrounded by a mass of stones. It appeared that Father Theophile must have wondered off the path to the borders of the precipice where he accidentally stepped over the side, and fell down 30 feet or so off the overhanging face of cliff and broke his neck. 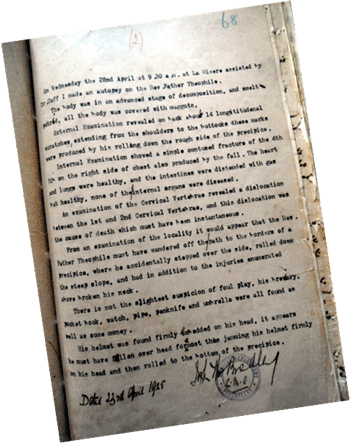 The body was in such an advanced state of decomposition with the skin being of a greenish colour and the tissues much swollen that on Wednesday the 22nd April at 9.30 a.m, after Dr. John Thomas Bradley (1872-1942) Chief Medical Officer had made an autopsy on the body of Father Theophile and found that his death was caused by the dislocation of the cervical vertebrae, the result of an accident, he considered it advisable that immediate burial should take place and the body was buried without a coffin at the Beauvoir Cemetery. But public sentiment on the matter did not abate. For the Catholic community, especially, the case was far from being resolved. The general belief was that the crown prosecutor Wyndam Grech had been negligent in his enquiries to ascertain the circumstances which led to the death of the Reverend Father and that police investigations had not been thoroughly conducted because the Inspector of Police himself, believed in sorcery and therefore he would not have sanctioned a course of action that would antagonize those who were engaged in the practice of sorcery and witchcraft. The public clamour for the arrest of all known sorcerers living in the vicinity of Cascade who were accused of being guilty for the disappearance of father Theophile reached a crescendo such wrathful anguish that one man , named Louis Clementine alias « Gro Louis » was taken into custody and kept in jail for three weeks. Public discontentment smouldered for the rest of the year. 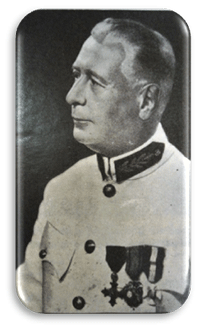 On the 21st May of 1926, Governor Sir Joseph A. Byrne (1874-1942) received another petition. 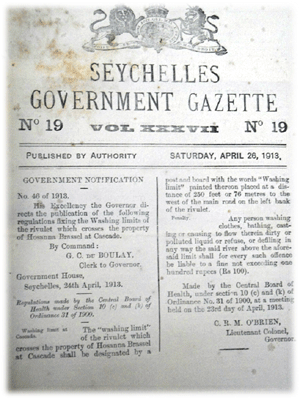 It was dated the 24th March of 1926 because it had been circulated to La Digue also, to obtain over 300 signatures. 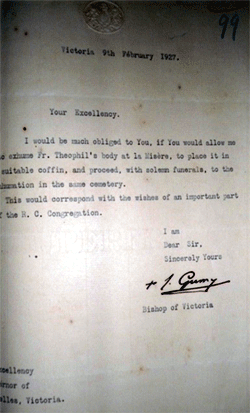 The petition made a request for a public inquiry, in the nature of a coroner’s inquest, to be conducted to investigate the circumstances connected with the tragic death of Father Theophile in April of 1925. The petition also refuted Dr. Bradley’s post-mortem verdict that Father Theophile’s death was an accident. Months passed and gradually the controversy abated. On the 9th February of 1927, Mgr. Justin Gumy wrote a letter to Governor Byrne requesting permission “to exhume Father Theophile’s body at La Misère, to place it in a suitable coffin, and proceed with solemn funeral, to the inhumation in the same cemetery”. The Governor approved his Lordship’s request on condition that the bishop would not use the occasion to revive the controversy as to the cause of death. Mgr. Justin Gumy gave the Governor his sincere assurances that this would not be so. 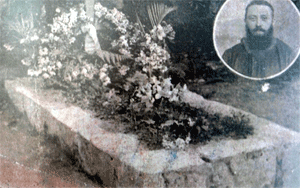 On Friday the 22nd February of 1927, at 3p.m, at the Beauvoir Cemetery, La Misère, in the presence of Dr. John Bradley, the Chief Medical Officer, the Inspector of Police, members of the Catholic clergy, Father Theophile’s skeleton was exhumed, placed in a coffin and buried with due solemnity. At the beginning of the 20th century, Cascade was basically a fishing village, where for many years, fishing was a source of livelihood for many families and it was a most common sight to see dozens of pirogues moored along the coast or in palm-thatched sheds. 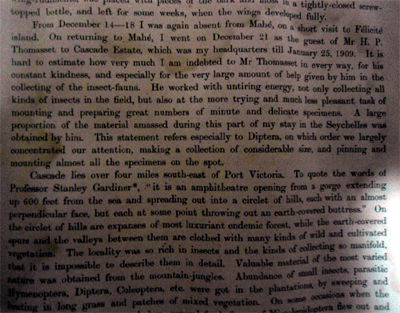 It was a priority on the agenda of the Administrator, Ernest Bickham Sweet-Escott (1857-1941) to ensure that the colony of Seychelles develops a fishing industry that would complement the substantial revenue earned from agricultural activities, and that would enable the inhabitants to earn their livelihood by the exploitation of the rich marine resources. 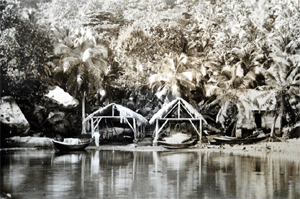 In 1901, a chaussée was constructed at Anse Talbot. This required heightening the causeway in the sea, the closing of two wooden culverts, the alteration of a third and the construction of a beaching place for boats. In November of that same year, ‘The Fisheries Ordinance, 1901’ came into force. Its primary purpose was to amend and consolidate the laws on fisheries in the colony. It encompassed a whole range of regulations and protective measures to control and manage fishing activities throughout the archipelago. Among the measures enforced were the establishment of landing stations where fish were authorized to be landed. Anse Cascade was among the 38 landing stations that were declared on Mahé. A fishing license of R1 was applied for a fisherman using a boat and line. Fishing with a net was R 8, and fishing with a casier was Rs 0.50cts. The license was granted on a six months’ basis. 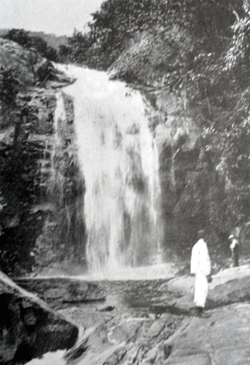 At that time, the cascade road was also being constructed. This was basically a bridle path that gave inhabitants of Cascade a convenient and alternative access to the town of Victoria, besides travelling by pirogues. There was a wooden bridge at Cap MaGeorgine which gave an accessway by land. Tarmac surface roads were completed in the early 1950’s. 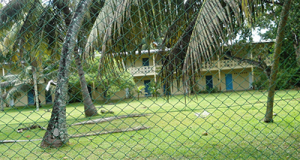 Cascade had its first educational establishment way back in 1882 when an inhabitant of the district, Mme Charles Button who offered a piece of her property to the Catholic Mission for the construction of the first chapel donated also a small building to be used as a school for boys. By 1891, there were two Roman Catholic Schools at Cascade, one for boys and one for girls, and both were under the management of the Sisters of St. Joseph. In 1925, a new building of stone was constructed, and for many decades this elementary school provided rudiments of learning to Cascade pupils. By 1960, this building of timber and limestone coral had succumbed to the ravages of time, and in 1960 Mgr. Olivier Maradan (1899-1975) who made it his priority to reconstruct and renovate many buildings of the Roman Catholic Church which had fallen into state of dilapidation, decided that Cascade should have a new school. 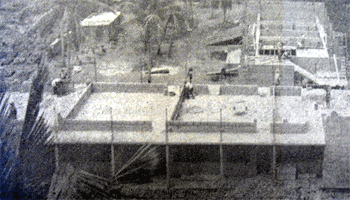 On the 1st April of 1963, the construction began…. On Sunday the 17th May of 1964, there was a ceremony at Cascade that made the inhabitants proud and happy. In the presence of the head teacher of Cascade, Miss Celine Chetty, the Director of Education, Mr F. J. F Tingay, the Parish Priest, Father Rogatien (1910-1987) and the indefatigable Brother Michel Gabioud who had been in charge of the construction, Mgr. 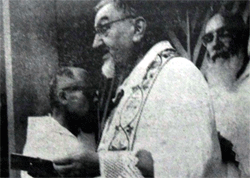 Olivier Maradan performed the benediction of the school. The building consisted of 2 blocks of 6 classrooms with staffroom, storeroom etc. Cascade had a police station as far back as 1903, when one corporal and four constables were allocated to the district. The station occupied a building on the actual site where the District Administration building is now located. The station was transferred to Anse Talbot (named after Antoine Nicolas Talbot, a resident of the district in the 1880’s) in the early 1950’s. 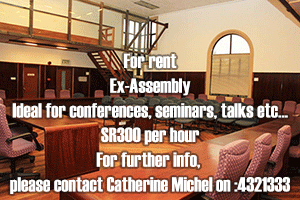 By then, there were 16 police stations in Seychelles, in leased buildings for which an annual rent of Rs. 1,260 was paid by government. At that time, the salary for a constable was Rs. 1,860. A new salary scheme which came into force on 1st January of 1954 changed the sum to Rs. 2,220. In 1902, when the Administrator Ernest Bickham Sweet-Escott initiated the erection of the Queen Victoria memorial clock tower, a fund- raising committee was established and subscriptions were solicited from all the districts and island. Of the total amount of Rs. 3,223.81 cts that was collected, 31 places including La Digue, Praslin and four inner islands, Cascade made the fifth largest contribution to the fund with Rs. 100.25 cts. Long ago, before the advent of washing machine, our laundry was done in rivers, and many women earned their livelihood working as washer women. 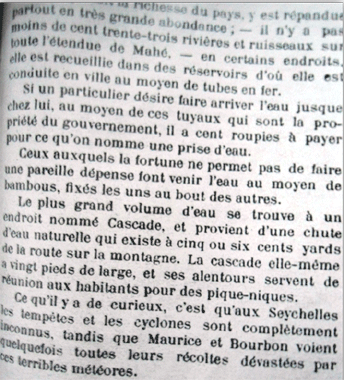 As with all the other districts of Mahé where there were rivers at the disposal of the inhabitants for them to do their laundry, Cascade also had to conform to the washing limits regulations made by the Central Board of Health, which came into force on the 23rd April of 1913 because the Colonial Government decided that since the rivers of the colony were also the sole source of water for domestic purposes, it was imperative to impose certain rules regarding the uses of rivers. Today Cascade is one of the few districts where one can see washer woman at work. With the Volume of water that the river of Cascade produces, it is not surprising that, since way back in the late 1940’s, the Colonial Government decided that this valuable source of water should be properly exploited for the advantage of the Cascade residents. In 1951, the Public Works Department undertook the Cascade Water Scheme at an estimated cost of Rs. 28,944. A barrage was constructed just above the falls, about 500 feet above sea level. With six tributaries supplying the river, the minimum recorded flow was about 300,000 gallons a day. 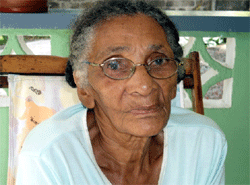 The barrage had storage of 400,000 to 500,000 gallons, and water was supplied by asbestos cement piping to residents of Brilliant to Pointe La Rue. 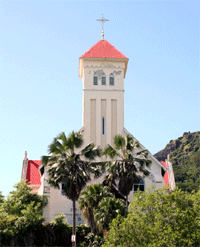 In 1959, when water consultants, Messrs Howard Humphreys and sons arrived in Seychelles to conduct a general survey of water supplies for Mahé, the Cascade Water Catchment was deemed to be an important source of water that could be developed into a major scheme regarding water production not just for the Cascade areas but for the Victoria district as well. A project report recommended that Cascade comprise the second stage in a comprehensive scheme that included Le Niol, Hermitage, Rochon and Baie Lazare. S o, in 1969, after the Rochon Dam was completed the Cascade works project began. This consisted of an overflow weir, intake chamber and recorder house built 229 m on the Cascade River, 1 km from its mouth, immediately above the main waterfall, a raw-water pipeline to a treatment works, and a treated pipeline to a storage reservoir at Hermitage and water mains from Hermitage reservoir to Victoria and beyond. The works were designed and supervised by Howard Humphreys and Sons. In the beginning, the treatment works had an output of 7000m³/day. Nowdays, the volume of treated water produced at Cascade per day is 3,000-5,000 kl/d. 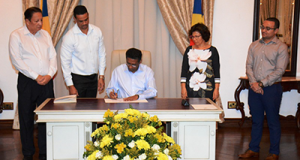 The Cascade waterworks was inaugurated on Friday the 12th December of 1975 by the Prime Minister James Mancham, in the presence of the Minister for works and Land Development, Mr. France Albert René and a gathering of official guests. 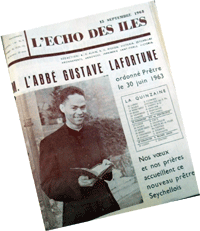 Cascade gave Seychelles one of her first Seychellois priest when on the 30th June of 1963 L’Abbey Gustave Lafortune; a Cascadien received his sacerdotal ordination at the Cathedral of Fribourg, Switzerland. He celebrated his first mass in the parish of Winznau, a Swiss-German province. And the Story of Cascade continues….